The Official Perfume for the Amber Lounge at the Singapore Grand Prix 2013. 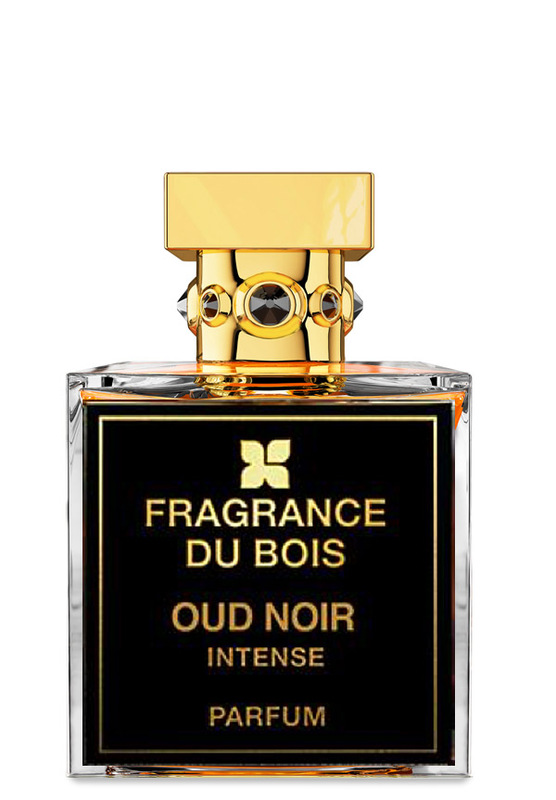 There is one review of Oud Noir Intense. An amazing, shimmering experience from Fragrance du Bois! Base - sandalwood, saffron, patchouli, vanilla, musk, amber, agarwood. The opening is nice and bright with a touch of lemony bergamot and big dose of mentholated cardamom. Patchouli starts to emerge within a minute at a level higher than the remaining heart and base notes, although I get whiffs of herbal saffron partnering up with the patchouli in a tight union. Sandalwood enters in slowly, very smooth and restrained than what I'd usually experience in other scents. Rose starts out very subtle, intertwined with the jasmine, but later seems to intensify and feels more present. Musk is dark and subdued as well initially, then it sticks its chest out more alongside the rose and jasmine, seeming to latch onto the slghtly powdery amber in yet another suprisingly well-choreographed partnership. And what of the agarwood (oud)? I must say that I don't get a straight shot of oud in this precious potion; more so, it's a mellow presence that is relying heavily on the other notes to paint a picture of complexity of floral, spice, wood and herbal notes highlighting aspects of oud. My take on ONI: It is a journey that shows you several qualities of oud - whether compositely or accentuating what oud is actually there. The oud strength is medium to medium low - personally, the intensity is in the richness of ingredients versus strength of projection, per se. Oud is slightly smoky and has a smidgen of that typical antiseptic touch. The sillage for this one is shockingly low, relating to the sky high niche fragrance price this one demands. A lowkey, expensive, reflective scent that I wouldn't run to get a full bottle of. Overall, a thoughtful, dignified expression that defies my expectation (i.e. not an "intense" powerhouse fragrance) and has my respect. There are no member images of Oud Noir Intense yet. Why not be the first?